When I first moved to Spokane in early 1988, there was a big, fat tombstone right in the middle of downtown. It was called the Davenport Hotel. And it squatted like an oversized anvil on this city’s hopes of being a place with a future, not just a prideful past. Closed and without real prospects of reopening, it was a museum piece the size of a city block. It was a modestly ornate mausoleum. It was depressing. It was the visual equivalent of a soft, low moan. Attempts to resuscitate it seemed, well, a bit naive. I mean, when a downtown’s trend line seems to be pointing down, how often does it kick back up again? Yes, Expo ’74 had been a shot in the arm. But by the end of the next decade some wondered if the fair had been a last gasp instead of the hoped-for launch pad. Then something remarkable happened. The Davenport was saved. You know the story. Chances are, it still makes you marvel and shake your head. Other restorations followed. The Fox Theater went from an ungainly, carved up multiplex movie house to a showplace theater. The Steam Plant fired up a new incarnation. The list of restored or revamped landmarks goes on. So what has been the magic? Some say it has been a poky local economy with a sometimes lethargic commercial development sector. The financial incentive to knock down aging buildings and erect in their place shiny new towers has not always been there. Some say it is Spokane’s supposedly special regard for historic structures. But our civic preservation tendencies notwithstanding, it seems likely that if certain developers could have made money bulldozing our brick-and-mortar heritage, they would have. So really, what defines the Spokane way? For those on the inside of the deals, the key has been time (and timing) – a coming together of multiple factors that finally make a project pencil out. Even if that means waiting years for the stars to align. For the rest of us, those on the outside, a belief in downtown’s sustained viability can be a matter of reborn faith. Now I don’t pretend to speak for everybody. But for many of us, the Davenport comeback changed everything. If that rescue could happen, why not others? Given enough time, who knows what might happen in Spokane? Instead of seeing all the reasons something couldn’t or wouldn’t work, it became possible to entertain visions of bold, exciting outcomes. It is an altogether different mindset from slow surrender. OK, that’s certainly not unprecedented in the Lilac City. The story of Spokane is populated with dynamic characters who envisioned something better and then made it happen. But those watching downtown in recent decades have noted the success stories. It has unquestionably helped shape this city’s belief in its own resilience. When you think about it, that’s huge. Remember when the Davenport was closed? Compare that to now. Oh, sure. It isn’t hard to find pessimism in Spokane. Sometimes it seems like we are the home office for dyspepsia. Moreover, this city is haunted by some seriously sobering social statistics. Still, the Davenport and other successes have, I believe, facilitated a civic attitude makeover. And really, doesn’t a slightly more positive outlook influence our perspective on virtually everything? I think you could make that argument. Rescued buildings such as the Davenport are not really defined by the structures themselves. They are, of course, about the people who bring them to life on a daily basis. 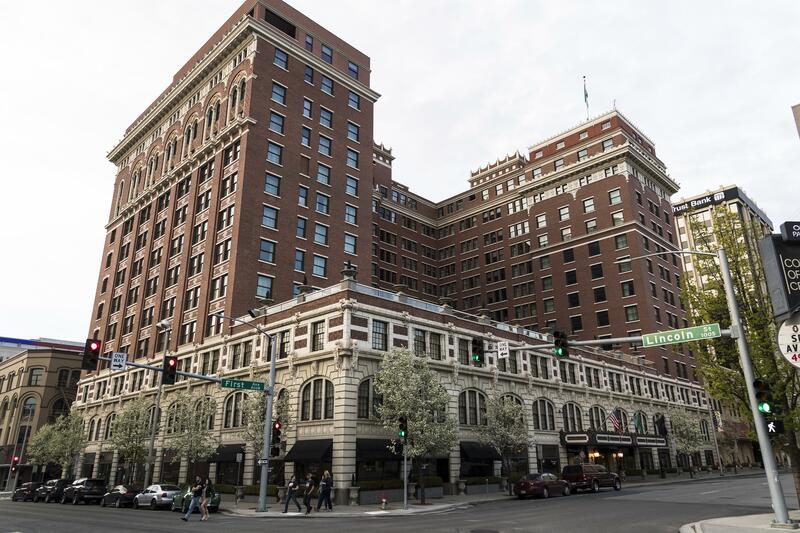 By that measure, downtown Spokane seems to be alive and kicking.